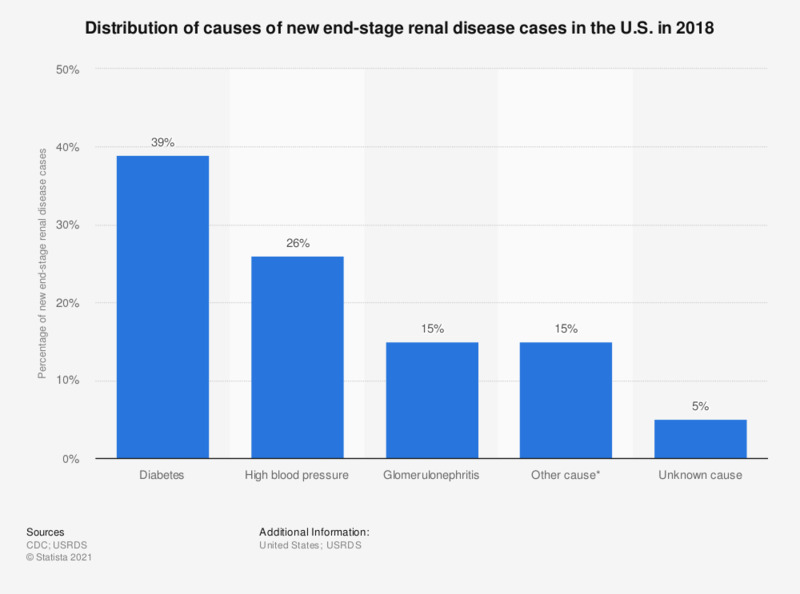 This statistic shows the distribution of causes of new end-stage renal disease (ESRD) cases in the U.S. in 2014. As of that year, around 44 percent of new ESRD cases were caused by diabetes, while 29 percent were caused by high blood pressure. * Includes glomerulonephritis and cystic kidney disease, among other causes.